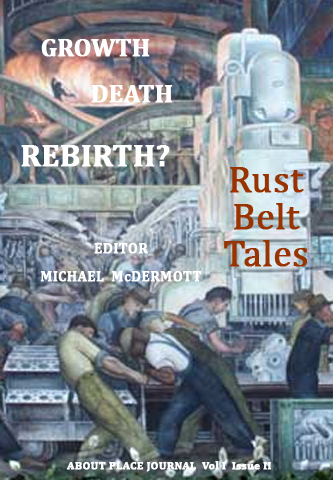 Rust Belt: the term conjures up abandoned factories; work gone overseas; huge tracts of city land empty; cities themselves being dissolved; human lives never to be what they were or might have been. All this is true. Yet new peoples move in and those left behind find new forms of communities and economies. Even the job creators cannot ignore the skillful labor and power of manufacturing still in place and come back with projects here and there. 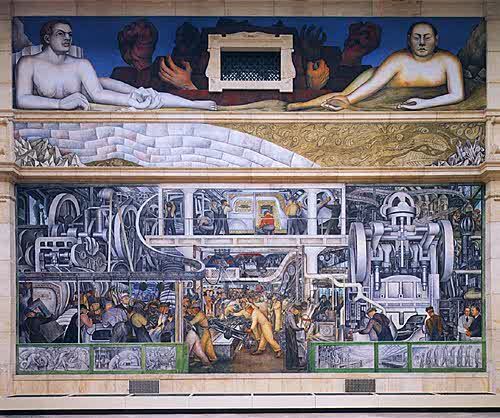 This issue speaks to many ways of seeing the Rust Belt, from early views of raw materials and European occupation through labor and pride in factories and finally into a future. Some writers often see relations to land and culture whether recreational, ancestral or providing sustenance for body and soul. More frequently others see decay and memories interpreted joyfully, sadly, angrily or soberly. Others hunt for and see pictures of hope and inspiration that shine out once found. Impermanence runs through even the words “growth,” “death” and “rebirth.” Areas, industries, and even peoples rise and at least stumble if not fall. Forests and mines exhausted; water driven mills long gone; old migratory paths dried up; industries and even cities destroyed by market violence: all show the old cannot last the way they were. Impermanence means that the desolation too will not last. What replaces emptiness is still unknown and we hope to highlight some inspirational events and hopes. Many works here cross generational lines, looking back at earlier lives or even forward to new settlers in cities and a hopeful picture of picture for those unborn. Cities, industries, agriculture, and communities also show in themselves generational change. We can no more hold onto only the earlier forms of settlements, mills, farms or neighborhood than we can to youth. What will we raise up after us? The issue is arranged roughly along by temporal and conceptual lines and by growth, death and rebirth. These cannot be separated from one another and each has the influence and seeds of the other. Some authors’ works contain different pieces that refer to different times. In these cases the work that suggests placement comes first. There will be short introductory pieces at other places. I am proud to have been touched by and worked with so many artists whose vision and skill you have before you. A plea: an online production is a wonder of communication. But it can be hard to scan or peruse across pages. We have wonderful poetry, music, photography, and prose here. Go from page to page, artist to artist, from front to back. Read, hear and see it all!